William Wedgwood Benn, the son of John Benn and Lily Pickstone, was born on the 10th May 1877. He was given the name Wedgwood because his mother was a distant relative of Josiah Wedgwood, the famous potter and Unitarian social reformer. William's father was the founder of Benn Brothers, the publisher of the successful trade journal, The Cabinet Maker. The family had a long tradition of charity work. William's grandfather, Julius Benn, was a Congregational minister who founded the Home in the East, an institute for homeless boys in the East End of London. John Benn was also active in a wide variety of causes and this had a major influence on William's attitude towards the poor. John Benn was a member of the Liberal Party and when he became a candidate in the elections for the London County Council (LCC) in 1889, William and his brother Ernest Benn, helped him in the campaign. Later William helped his father win the Wapping seat in the House of Commons in the 1892 General Election. William went to University College, London where he obtained a first class honours degree in French. He was also elected President of the Union Debating Society. William was an opponent of theBoer War and during one debate on the subject he was grabbed by a group of students and thrown out of the window. After university William began work at the family publishing business. John Benn lost his seat in the 1895 General Election to the Conservative candidate, Harry Marks, by four votes. Benn was unhappy about the way Marks had behaved during the campaign and decided to petition under the 1883 Corrupt and Illegal Practice Act. He claimed that Marks "before, during, and after the election" had been "guilty of bribery, treating, undue influence, and of aiding, abetting, counselling and procuring the offence of impersonation". John Benn lost the court case held in February 1896 and as a result had to pay legal costs of £6,000. The judge also ruled that Benn could not be a candidate in the Wapping constituency for seven years. In 1904 John Benn won a by-election at the dockyard town of Devonport. William was selected as the Liberal candidate for his father's old seat in Wapping. In the 1906 General Election the twenty-eight year old Benn, became the youngest MP in the House of Commons. William became Parliamentary Private Secretary to Reginald McKenna, the First Secretary to the Treasury. He retained this position when McKenna was promoted to the Cabinet as President of the Board of Education. Benn won his seat in the January 1910 General Election but his father lost at Devonport. After the election, Herbert Asquith, appointed Benn as a Junior Government Whip. However, during the parliamentary campaign Benn had said that his Conservative rival, Percy Simmons, had voted in the House of Commons against the 1906 Provision of School Meals Act and was therefore against "the feeding of children". Simmons sued Benn for libel and won his case. The case cost Benn £5,000 and was in danger of being declared bankrupt until his father, John Benn, was able to raise the money to pay off his debts. In 1910 Benn became Junior Lord of the Treasury. This gave him the opportunity to work with David Lloyd George, the Chancellor of the Exchequer. In 1912 four government ministers, including Lloyd George, were accused of being corruptly involved in a government contract that had been given to the Marconi company. Although the House of Commons cleared the men of corruption, Benn was not convinced. Benn had previously been a strong supporter of Lloyd George, now doubted both his honesty and his leadership qualities. Benn was a strong supporter of the trade union movement. He upset some fellow members of the government when helped raise funds for the strikers and their families, during the London dockers strike in 1912. When the First World War was declared in August 1914, the Prime Minister, Herbert Asquith, put Benn in charge of the National Relief Fund. With the support of newspapers such as the Daily Telegraph and the Times, Benn was able to raise over £1,000,000 in ten days. Although a member of the government, Benn believed that as he was only 37, he should resign and join the armed forces. Benn became a junior officer in the Middlesex Yeomanry and served in Egypt in 1915. The following year he was transferred to the Royal Navy Air Service and between May and December 1916, Benn flew as navigator on forty-one mission in the Eastern Mediterranean. When David Lloyd George ousted Herbert Asquith as Prime Minister in 1916, he sent Benn a telegram offering him the post of Chief Whip in the new government. Benn, who still held had strong doubts about Lloyd George's moral integrity, refused the post. Just before his fortieth birthday, Benn starting training to become a pilot. After completing his training he was then sent to Italy where he was given the task of co-ordinating the work of the Royal Navy Air Service and the recently formed Royal Flying Corps. While in Italy, Benn took part in the operation that resulted in the first successful parachute drop of a spy behind enemy lines. During the First World War Benn was awarded the Distinguished Flying Cross, the French Croix de Guerre and the Italian Military Cross. In the 1918 General Election Benn refused to support Lloyd George's coalition government. Instead he represented what became known as Asquith's Liberals. Although the Coalition achieved a massive majority, Benn managed to win his seat. A large number of Liberals lost, including Herbert Asquith and Herbert Samuel. With Asquith out of Parliament, Benn, who now represented Leith in Scotland, became the leader of the group of Liberal MPs who refused to support David Lloyd George. John Benn, who was also opposed to Lloyd George, gave the group the name, Wee Frees, after a small group of Free Church of Scotland members who refused to accept the union of their church with the United Presbyterian Church. As leader of the Wee Frees, Benn was given an office and secretarial staff. One of those he recruited to help in the office was the former schoolteacher, Victor Gollancz. Later Benn was responsible for introducing Gollancz to his brother Ernest Benn. On William's recommendation, Gollancz joined Benn Brothers and helped to turn it into one of Britain's most successful publishers. In 1920 William married Margaret Holmes, the daughter of Daniel Holmes, the Liberal MP for Govan. Negotiations before the marriage involved William's request that Margaret, like the rest of the Benn family, should become a teetotaller. It was also agreed that any children should be brought up as teetotallers. William and Margaret's honeymoon was spent in Geneva at the first meeting of the League of Nations. Over the next few years the couple had four children, including the future Labour Cabinet minister, Tony Benn. In October, 1922, the Conservative members of the coalition government decided to replace David Lloyd George with Andrew Bonar Law. In the General Election that followed, the Conservatives won 345 seats. Only 54 Liberals in the House of Commons supported Lloyd George, whereas 62 MPs, including Benn, were followers of Herbert Asquith. Attempts were made to unite the two groups under the leadership of David Lloyd George. Benn was totally opposed to the idea and became the leader of what became known as the Radical Liberals. Over the next few years his political views moved to the left and when Lloyd George gained control of the Liberal Party in January 1927, Benn joined the Labour Party. Benn took the view that as he had been elected as a Liberal he should resign his seat in Parliament. When the Labour MP for North Aberdeen died that summer, the constituency party invited Benn to replace him. Benn's main slogan during the by-election campaign that he won on the 16th August, 1927, was "The Labour Party is a Socialist Party, and I am standing as a Socialist". 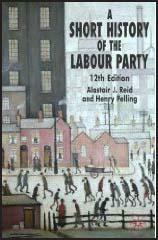 In the 1929 General Election the Labour Party won 288 seats, making it the largest party in the House of Commons. Ramsay MacDonald formed a Labour Government but had to rely on the support of the Liberals to hold onto power. MacDonald appointed Benn as his Secretary of State for India. For the next two years Benn had the difficult task of trying to run the Indian Empire from London. The election of the Labour Government coincided with an economic depression and Ramsay MacDonald was faced with the problem of growing unemployment. MacDonald asked Sir George May to form a committee to look into Britain's economic problem. When the May Committee produced its report in July, 1931, it suggested that the government should reduce its expenditure by £97,000,000, including a £67,000,000 cut in unemployment benefits. MacDonald, and his Chancellor of the Exchequer, Philip Snowden, accepted the report but when the matter was discussed by the Cabinet, the majority, including Benn, voted against the measures suggested by Sir George May. Ramsay MacDonald was angry that his Cabinet had not supported him and decided to resign. When he saw George V that night, he was persuaded to head a new coalition government that would include Conservative and Liberal leaders as well as Labour ministers. Most of the Labour Cabinet totally rejected the idea and only three, Philip Snowden, Jimmy Thomas and John Sankey agreed to join the new government. MacDonald was determined to continue and his National Government introduced the measures that had been rejected by the previous Labour Cabinet. Labour MPs were furious with what had happened and MacDonald was expelled from the Labour Party. In October, MacDonald called an election. The 1931 General Election was a disaster for the Labour Party with only 46 members winning their seats. Benn lost his seat at North Aberdeen to a National Government candidate. MacDonald, now had 556 pro-National Government MPs and had no difficulty pursuing the policies suggested by Sir George May. Benn was the Labour Party candidate at Dudley in the 1935 General Election but once again he was defeated. 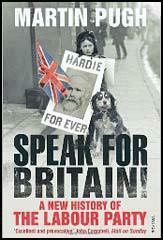 He had to wait until 18th February 1937, before returning to Parliament when he won a by-election at Gorton, Manchester. Benn was deeply respected in the Labour Party and this is reflected in the votes he received when he stood for the party executive. In 1938 he came fifth in the ballot and in the following year he reached second in the list. Although nearly sixty-three at the outbreak of the Second World War, Benn enlisted in the Royal Air Force as a pilot officer. Over the next four years he flew on several operational missions. Given the rank of Air Commodore, Benn worked for a while as Director of Public Relations at the Air Ministry. In 1944 he became a member of the Allied Control Commission that had the responsibility of reconstructing a democratic government in Italy. In December 1940, Benn was asked by Clement Attlee to become a Labour member of the House of Lords. At that time all peerages were hereditary and meant that on his death, the title would be transferred to his eldest son. He therefore discussed it with Michael, his eldest son, telling him that "If you don't want to go to the House of Lords, I shall turn it down." Michael had already decided he wanted to be an Anglican clergyman and replied that he could argue for socialism in the House of Lords while Tony, the younger brother, could do the same in the House of Commons. Benn took the title Lord Stansgate. 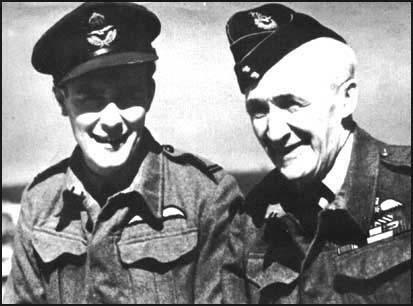 Michael and William Wedgwood Benn in 1944. Michael and Tony Benn both joined the Royal Air Force during the war. 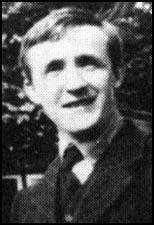 Tony successfully served as a pilot officer in South Africa and Rhodesia, but Michael was tragically killed on 23rd June, 1944, when as a result of a faulty air speed indicator, his aircraft crashed at Chichester. After the 1945 General Election, Clement Attlee appointed Lord Stansgate as his Secretary of State for Air. He held the post until October 1946, but continued to play an active role supporting the Labour Party in the House of Lords until his death on 17th November 1960. (1) Election leaflet on William Wedgwood Benn published in 1905. He is not a rich man, but many of his less fortunate neighbours have to thank him for practical help rendered them in various ways. In short, one may say that he can and will number among his friends not only those who have always supported the Liberal Party, but many old residents who believe in a good man, and above all, one who belongs to the district, and sympathizes with its needs. (2) Description of William Wedgwood Benn in the Evening News after his victory in the 1906 General Election. He is slim and boyish looking, with clean-shaven, clear-cut features, light hair, and eyes sparkling with enthusiasm. He does not look a day more than twenty-two, but confesses to being "just a little older". Although young in years, Mr Benn is by no means young politically, for, as the son of Mr. J. Williams Benn, MP, LCC, he has been born and brought up amid parliamentary surroundings. From his cradle he has been able to devote himself entirely to one hobby - politics. When not engaged in politics, Mr Wedgwood Benn, who is associated with his father in trade journalism, devotes himself to The Cabinet Maker (surely a happy omen, politically, for the future). After about half-an-hour's progress we reached the enemy's shrapnel, through which, of course, we were bound to pass if we were to attain Chocolate Hill. At each line of the division advanced into the beaten zone, the shells did their part, being timed to burst just ahead of our march. Casualties began, but our orders were strict, and forbade us to stop for anyone. When men fell they had to be left for the stretcher parties which were following. Suddenly I saw with horror my troop hit by a shell and eight men go down. The rest were splendid. They simply continued to advance in the proper formation at a walk, and awaited the order, which did not come for another quarter-of-an-hour, before breaking into the double. Everyone was intensely excited, but all were bravely self-controlled. (4) Margaret Holmes, describing her courtship with William Wedgwood Benn. One day he was very brave and asked me to go to the theatre with him. This was a great surprise to my father. However, I was allowed to go with him. On the way home, as we walked by Hyde Park Corner, he said, "Well we could live near the House in Westminster and you could have a chop at the House every night." (I hate chops.) And so that was his proposal. My reply was, "And what shall I call you, Captain Benn?" For I'd always called him Captain Benn, and he'd called me Miss Holmes. (5) When his first son Michael was born, William Wedgwood Benn said: "He's going to be a great friend of mine." When Michael Benn was killed in June 1944, among his papers was a letter addressed to his family. Father, from whom I inherited those qualities which I hoped would play their part later in my life and who was always a friend I could trust and who was everything a friend could be. If he knew how true his first words had come. Mother, from whom I inherited the precious gift of religion. Time alone would have shown what I intended to do with that. To you all I say au revoir. It was my dearest wish to see us all united after the war. I wanted then to settle down to do what I could to prevent the suffering of another war from descending on the lives of our children. How I longed to see a world when people could be as free and happy as we were in our family. By his death British public life is deprived of one of its most vivid personalities and the House of Lords loses one of its most endearing, irrepressible, provocative, and witty debaters. "Wedgie Benn", as he was affectionately known, was a fighter to the end of his days. Age seemed only to sharpen the flashing blade of his scorn for injustice, indolence, equivocation, or woolly mindedness in high places. The spell of his charm could, however, vanquish the most acute exasperation which he might provoke, and even his victims forgave him. For his integrity of purpose was manifest. His physical bravery was matched by high moral courage, and he stood in awe of nobody.